Home / Insurance / Why is Health Insurance Important in India? Why is Health Insurance Important in India? Mr. Ramesh Singh, a self-employed individual, invested in a mediclaim policy upon insistence by his financial advisor. A couple of years after purchasing the health policy, Mr. Singh suffered from a medical disease and hence had to be hospitalized. His medical bills were exorbitant. Luckily, for Mr. Singh, he did not have to worry as he was financially protected against such high medical bills. He thanked his advisor for suggesting him to invest in such an insurance policy. Like Mr. Singh, many individuals are now purchasing health insurance policies to safeguard themselves against rising medical costs. Such a type of insurance policy offers manifold benefits. Following are six major reasons, which highlight the importance of health insurance in India. Many Indians suffer from high-stress levels. They work long hours, do not exercise, indulge in junk food, and do not get anadequate amount of sleep. Such a lifestyle may lead to contraction of various lifestyle-related illnesses. It is, therefore, necessary to buy a health policy to protect yourself against diseases such as heart attack, stroke, diabetes, and obesity, among others. The cost of health care services is increasing by the day. Medical inflation in India is around 20%, which is higher than the overall inflation of 8-9% in the past years. It is, therefore, necessary to take precautionary measures in order to tackle medical inflation effectively. The best solution is investing in health insurance policies at the earliest. In case of planned hospitalization or medical emergency, your insurance provider covers all your medical expenses. You may either apply for health insurancethat offers cashless facility or seek reimbursement of the medical expenses incurred by you. Either way, you are rest assured of your insurance provider meeting all medical costs. You may enjoy peace of mind, knowing that you may receive quality treatment without having to worry about making arrangement for finance. You may, therefore, focus on your speedy recovery. Most employers provide health coverage to their employees. However, such covers may not provide sufficient coverage during times of medical emergencies. Besides, you may lose your coverage when you switch your company. It is, therefore, necessary to purchase health insurance with adequate coverage to protect yourself against medical costs. There are numerous options forhealth insurance policies inIndia. Various health providers offer various types of plans with varied benefits and features. 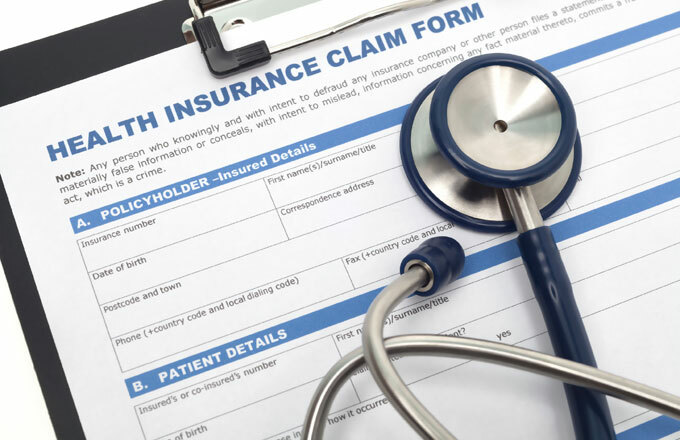 Some of the major types of health insurance options include indemnity plans, cashless plans, top-up plans, critical illness plans, personal accidental plans, daily hospital cash plans, and family floater health plans, among others. You may compare such plan options, and select the plan suitable to your individual needs and requirements. One of the greatest benefits of purchasing a health insurance policy is that you are eligible for obtaining tax benefits on health insurance offered as per the Income Tax Act, 1961. You may claim up to INR 15000 on the premium paid towards your mediclaim policy. Further, you may avail of a tax deduction of up to INR 20000 if you are a senior citizen. This helps you reduce your tax liability to a great extent. It is imperative to be cognizant of the fact that health adversities may come unannounced. You may, therefore, ensure to remain financially protected against such a situation. You may apply for health insurance and remain worry-free in case a medical emergency were to strike. By taking an adequate health cover, you may safeguard yourself and your loved ones against the ever-rising medical costs.